Cibo e Beve celebrates the vibrant culture and food of Italy. Enjoy our authentic take on Italian classics! 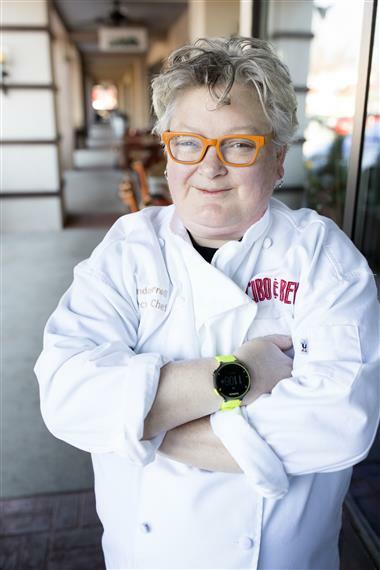 Chef Linda Harrell brings more than 30 years of excitement creating magnificent Italian cuisine to Cibo e Beve. Harrell received her culinary foundation and formal European training working with acclaimed Chef Daniel Yves Abid, a protégé of Alain Ducasse, at Kingsmill Resorts in Williamsburg, Virginia. With more than two decades of expertise and ardent enthusiasm behind her, Harrell has cooked at the prestigious James Beard House in New York City and was featured on the national ABC-TV show, “Eat & Greet.” She was also a contestant on the Food Network shows Kitchen Inferno and Beat Bobby Flay. She has been featured in numerous periodicals such as Gourmet Magazine, The Atlanta Journal-Constitution, The Baltimore Sun, Baltimore Magazine, Flavors, and Atlanta Magazine. She is a member of Les Dames D'Escoffier International and actively participates in demonstrations and benefits throughout Atlanta.